Requests for new developer documentation or for corrections to existing developer documentation on the MDN Web Docs wiki. Report issues about the MDN wiki platform under 'developer.mozilla.org'. Documentation of HTML, HTML elements, and how to develop HTML content; see https://developer.mozilla.org/en-US/docs/MDN/Doc_status/HTML for documentation status. In the Firefox 16 branch there is a first implementation of <input type=number>, which we should document. The implementation is not yet complete ( missing UI etc - see bug 344616), but this is a start. 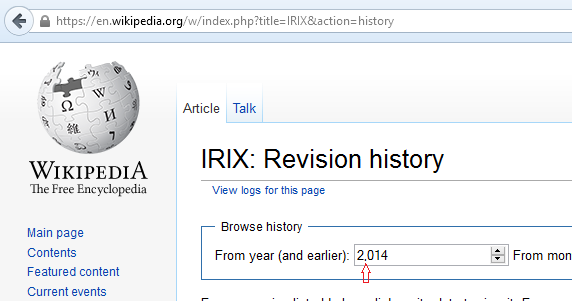 In Firefox 20 the implementation has been updated slightly. See Bug 813936 - "Update nsHTMLInputElement::GetStepBase() to return the default value if there is no min"
and the change should be mentioned in the <input type=number> documentation page accordingly. - Firefox Desktop: disabled by default. The preference to toggle this feature is "dom.experimental_forms". Florian, feel free to let me know if you have any question. Firefox Desktop support is enabled for Firefox 28 unless there are some huge issues blocking. And I'd be the technical contact if there are any questions. I can not find that on any documentation. Whether or not the grouping separator is shown is a decision made by the user agent based on what the user agent's developers think is best for users of a specific locale. (It is not something that should be controllable by content authors.) It's early days with regards to deciding what's best for users of the various locales, so if you think that the users of a specific locale will not want grouping separators shown then please file a bug asking that they not be used for that locale and CC me. Makes sense to me but as I am not talking about a specific locale so I will ask here, what do you propose for selecting year input on MediaWiki? Migrating away from input type="number"? Can you point me to a page that shows the year input? I've spun off bug 974175 for the "year" issue. Let's continue discussion there to avoid spamming this bug with off topic conversation. Please fill separate bugs for each of those. This is the correct behavior per the spec (the default value is zero, the default step is 1). This is a bug. Please do file this issue and CC me. > default step is 1). Ah fair enough. I was about to ask if there is a use case of a numeric field without a step, but found it in the spec, setting step="any" seems to solve my problem here. > This is a bug. Please do file this issue and CC me.